How governments raise the revenues they need to support public spending is a fundamental aspect of public finance. Despite this, taxation has been the focus of limited analysis and action by civil society groups around the world, especially in developing countries. But in recent years, citizens and civil society organizations (CSOs) have become more aware of how their government’s tax policies are impacting their lives, and have started to question the impact of taxation on inequality and the illicit financial flows that deprive their countries of precious resources. If taxation has been a difficult topic for civil society to come to grips, imagine how difficult it might be to look into taxes that are not being paid, for example as a consequence of tax breaks or fiscal incentives that governments may give to individuals and corporations in pursuit of various policy objectives. These so-called “tax expenditures” are often less transparent and subject to less scrutiny than normal taxes because they are negotiated outside of the normal budget cycle and are often linked to lobbying by powerful interests. For the past two and a half years, the International Budget Partnership (IBP) has been working with a group of nine Latin American civil society organizations to promote research, advocacy, and learning around tax expenditures in the Latin American region. Each group conducted research to examine how governments were using tax expenditures in their countries and to assess the impact of tax expenditures on inequality, and is now using these findings to promote advocacy campaigns. IBP recently published a summary of the country-level research findings in the paper “Tax Expenditures in Latin America: A Civil Society Perspective”. The picture that emerges is pretty discouraging: public information is often inadequate, decision-making processes are closed and prone to abuse and corruption, and impact, in the few instances where it is measured, is often negative. From INESC’s campaign video on tax expenditures. Watch the video here. While not all tax expenditures are necessarily bad, the closed nature of the decision-making process around them creates opportunities for governments to use them for political purposes. This results in benefits for a few powerful groups, and real costs for the rest of society. For example, in Brazil tax secrecy provisions prevent the names of companies benefiting from tax incentives from being published, making it impossible to know how much public money is destined to mining companies like Vale, which has been responsible for two major recent environmental disasters. Our Brazilian partner INESC implemented a campaign (see the video) to eliminate this secrecy. 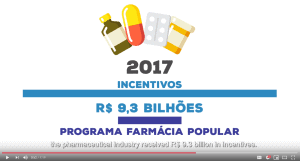 They published a report that looks at the magnitude of tax incentives for specific industries, and mobilized social movements and other organizations monitoring companies in Brazil to raise awareness of the issue. Access to information is also critical in order to evaluate the impact tax expenditures have on inequality. ACIJ, our partner from Argentina, published a report on tax expenditures from an equity perspective, and organized a seminar on the issue with the University of Buenos Aires. The group also filed a claim before the Access of Public Information Agency (Agencia de Acceso a la Información Pública) after many attempts to get information on the companies benefitting from specific tax incentives and recently received a favorable decision that could have significant impact on tax expenditure transparency in the future: the Public Information Agency’s legal arguments against tax secrecy for companies that benefit from tax incentives can also be used by other CSOs that are part of the LATERAL project and beyond. 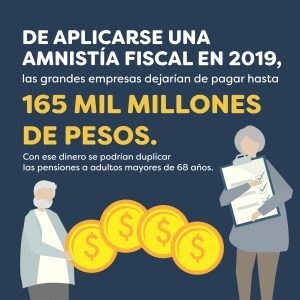 A third example comes from Peru, where our partner, Ciudadanos al Día (CAD), published a comprehensive study on tax expenditures in the country, highlighting the government’s lack of transparency and impact evaluation. CAD publicized their research findings via public events and the media. Partly as a response to their research and advocacy, one of the government’s key fiscal policy documents, the Multiannual Macroeconomic Framework 2019-2022, included a commitment to carry out a comprehensive review of tax expenditures and promote more transparency around the practice. As our work continues with these incredible organizations in their journey to influence tax expenditure policies in their countries and across Latin America, we look forward to providing updates on the challenges and successes they encounter along the way.